So I was a Poplar DLR the other week and saw this poster! Jon’s photo of Charlie Simpson all big and in my face! 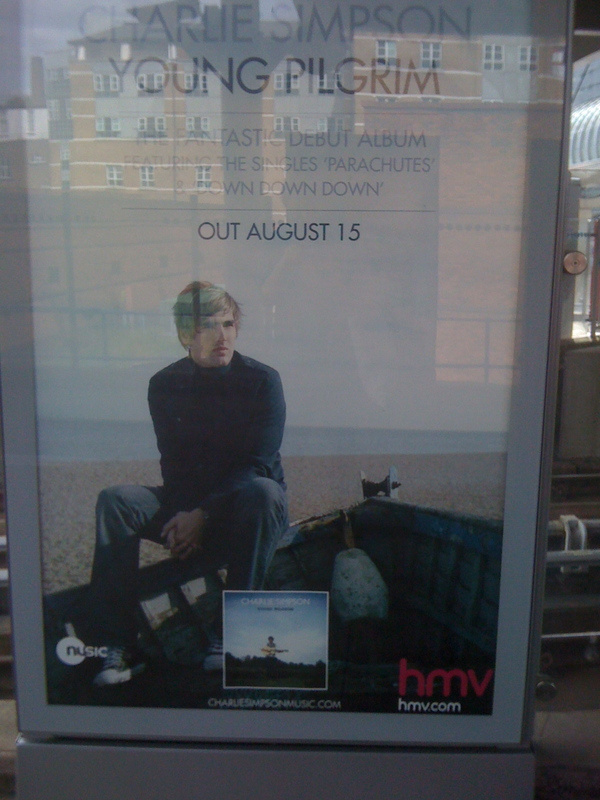 It looks brill and the album too and what a decent, sweet chap Charlie is. Was a really lovely shoot and we got fish and chips and tartare sauce at the end of it so a dream job !